I was at church this past Sunday and glanced outside at the almost mirror-like Caribbean Sea and the reef which pictured a scene of peace and tranquility. My mind went back to the 1950's when my dad used to request us help in his fishing activities. My dad was a conch, fish and lobster fisherman. 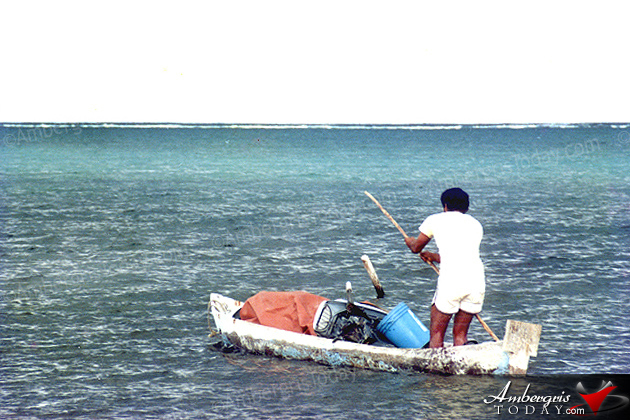 He had two wire fish traps, 200 wood lobster pats (traps), a small dory and a small 18-foot sailing boat. He worked his fishing grounds Mondays through Saturdays from 7 a.m. To 12 noon. Those were working hours of all fishermen. During school days I could not help my dad in his fishing journeys, but on Saturdays I was up bright and early to go check the fish traps. 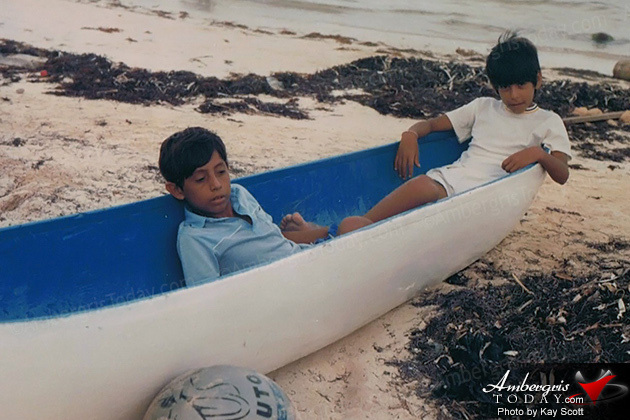 The most exciting part of those Saturday fishing trips was the fun of trolling for barracuda along the reef on our return to the village. Now let us find out why I call November the "fat month". It was this month that the northerly winds began to blow, just like this past Sunday. These northerly winds caused fish and lobster movements. 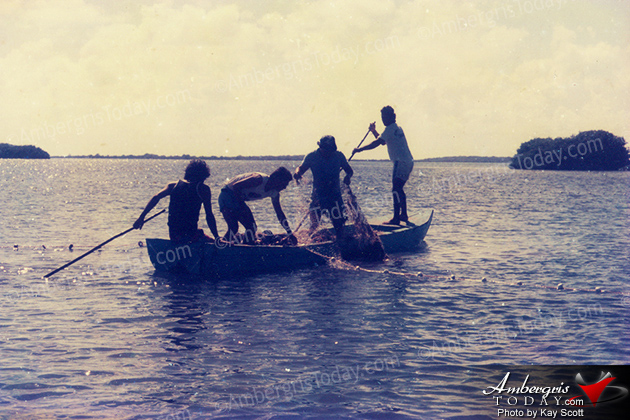 The wire fish traps were loaded with hundreds of prized snappers and lobsters moved along the grassy and shallow seas. Knowing this, my dad (and this is true of most families) got my brother and I up at 5a.m. We boarded our small dory and paddled our way about 500 feet from the beach right in front of the village. In our case it was in front of the Tackle Box Bar. There we spotted lines of lobsters moving in procession southwards. The toughest part was jumping into the water at 5 a.m. in 65ºF weather. The water felt ice cold but the thrill of seeing hundreds of lobsters in line formation quickly made us forget the cold and got adapted to the water temperature. Not lying, in a matter of one hour we had three to four hundred lobsters on board. The next difficult moment was coming out of the water and feeling the gusts of cold air. This happened for several days, perhaps 10 to 15 days in November; sometimes in December, depending when the northerlies started blowing over Ambergris Caye. Lobster sold at 15 cents per pound of whole lobster, and even at that rate it was considered a great catch. Thus my reason for calling it a Fat November 25 years ago.